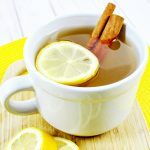 This Easy Hot Toddy Recipe makes a comforting hot beverage with only 4 ingredients: hot water, honey, lemon, and whiskey (or bourbon). Perfect on a cold night and especially good when you aren’t feeling well. This post contains affiliate links for your convenience. We receive a small commission if purchases are made through our links to retailers. Click here to read our full disclosure policy. This recipe is only for adults of legal drinking age. Please drink responsibly. During our holiday festivities, I had my very first Hot Toddy. I had heard of Hot Toddies before, but I had never had one or made one. While we were working together a fun Christmas Vacation puzzle, my (soon-to-be) daughter-in-law asked if I wanted to try one. Well, I did and now I’m a bit obsessed! If you are new to Hot Toddies, they are a hot alcoholic beverage that is most often made with hot water, honey, lemon, and liquor, such as whiskey or bourbon. They’ll warm you up on a winter night and lots of people like them when they’re sick with a cold. We have provided a basic, easy Hot Toddy Recipe for you below, but I would consider this more of a guide. 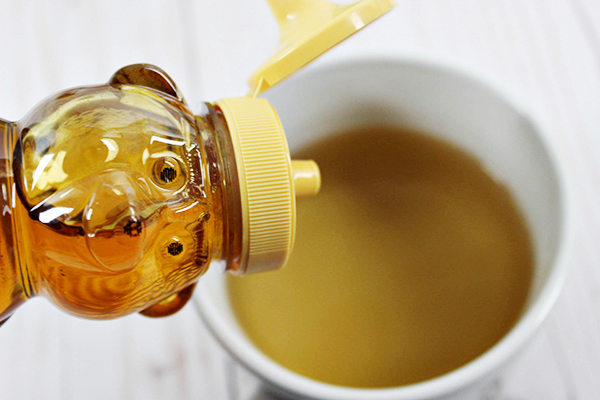 Experiment a bit — you might like more or less honey or lemon. You might like more or less whiskey. If you are new to making them, give our recipe a try, but feel free to play with the ingredients to get your perfect Hot Toddy. Also, a word about the liquor. Using whiskey is most common, but you can substitute the whiskey with rum or brandy if you prefer. We also have a vanilla bourbon that we’ve used that made a lovely Hot Toddy. To make your Hot Toddy, you’ll need hot water. We just purchased a great electric kettle which has come in so useful for making our Hot Toddies (and our tea, hot cocoa, and more! ), but you can heat your water in any way that you wish – stovetop kettle or microwave works fine. The hot water is combined with the honey, lemon, and whiskey. Stir it up and it’s ready to enjoy! 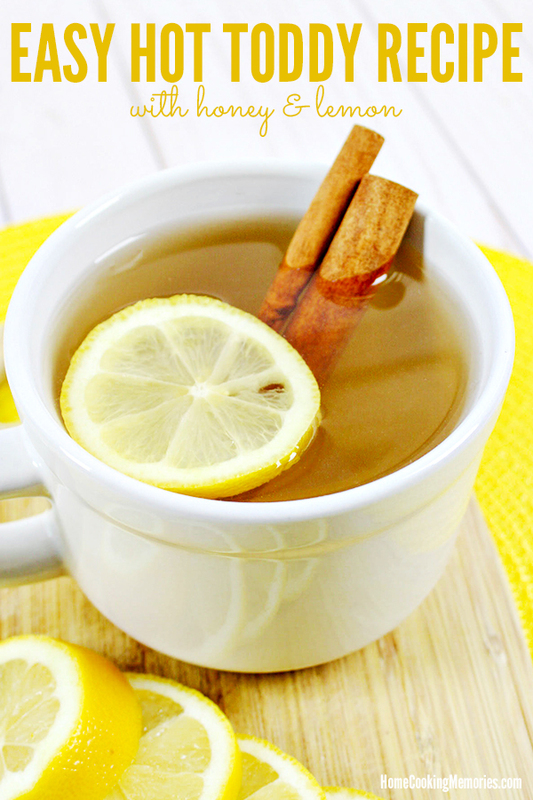 If you wish, you can also add a cinnamon stick and/or lemon slice into your Hot Toddy. Here’s our full recipe for making a Hot Toddy. Remember, you are welcome to play with the ingredients. If you like your Hot Toddy sweeter, add a bit more honey. If you prefer less (or more) whiskey, feel free to adjust. How do you like your Hot Toddy? Leave a comment below to help inspire others! 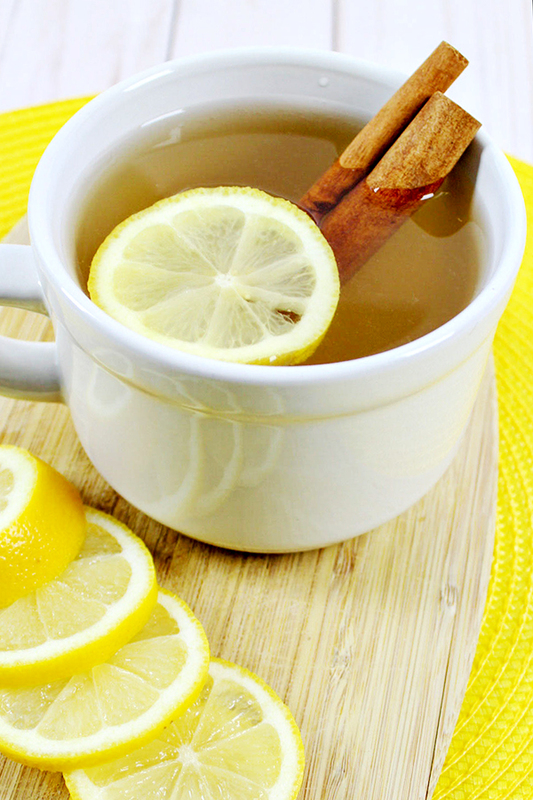 Warm up with this Easy Hot Toddy Recipe. It makes a comforting hot beverage with only 4 ingredients: hot water, honey, lemon, and whiskey (or bourbon). Pour hot water in a mug. Stir in the whiskey, honey, and lemon juice. Add in lemon slice and cinnamon sticks, if using. Sip slowly and enjoy! –Feel free to substitute the whiskey for rum, brandy, or bourbon.